BookToday has a great selection of accommodation close to the Crocodile Trophy Event in Cairns. Stay close to the action of the Crocodile Trophy, this is one event not to be missed. The Crocodile Trophy 2010 is one of the most challenging and adventurous MTB stage races in Australia... probably the world! 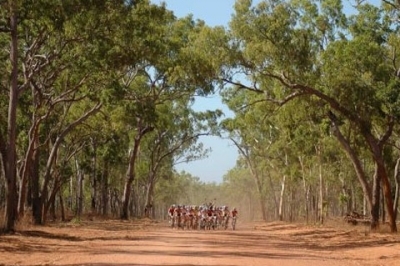 This year "the Croc" start in Cairns on 19 October 2010 and in 10 days the racers cover 1200km and 12,000m of elevation on their way through the rough Outback to Cape Tribulation. The Crocodile Trophy is the hardest, longest, hottest and most adventurous mountain bike race in the world!